Thursday's test run up the bank had to be aborted after a problem with the brakes. Today, after a light engine run up the bank and back during the morning, the Q6 was attached to the rear of the 14.30 departure from Grosmont to Pickering. All went well, so with Ian Pearson on the regulator it headed the 16.00 departure from Pickering. All bearings ran cool and the locomotive ran without problems. On the Friday, the necessary work having been completed, Ian Pearson was the driver, and he managed a run up the bank to near Goathland in the morning. Again all was fine. 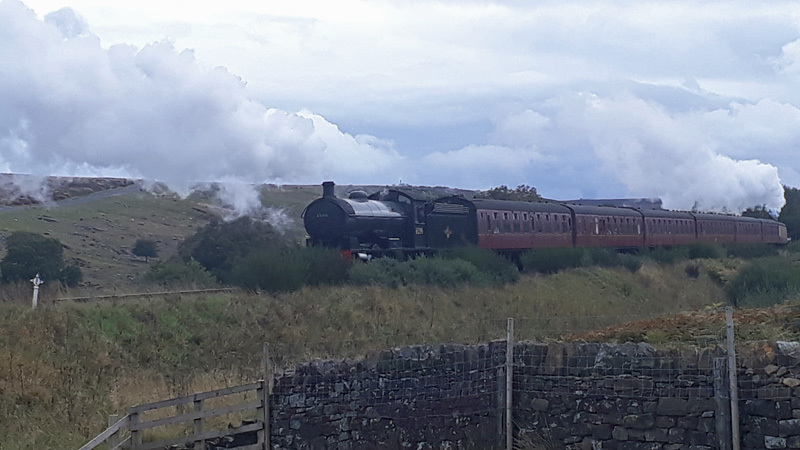 It was therefore decided to put the Q6 on the back of the 1430 departure from Grosmont for a run to Pickering, with 76079 leading at the front (see photo). On arrival at Pickering, Ian reported again that following checks of the axleboxes and motion, all was well, and the Q6 then did all the work on the return journey, leading from the front, with 76079 reportedly making no contribution on the rear. The Q6 then retired back to the shed and was disposed with another clean bill of health. The move to the Severn Valley for their Gala over the 20th - 23rd September was therefore confirmed, and today the Q6 ran light engine to New Bridge, Pickering, with Ian Pearson again driving and Richard de Sadeleer as his fireman. The opportunity was also taken to turn it on the Pickering turntable so the smokebox faces south once more (see photo). The engine and tender will be split tomorrow, and be collected by lorry on Monday. 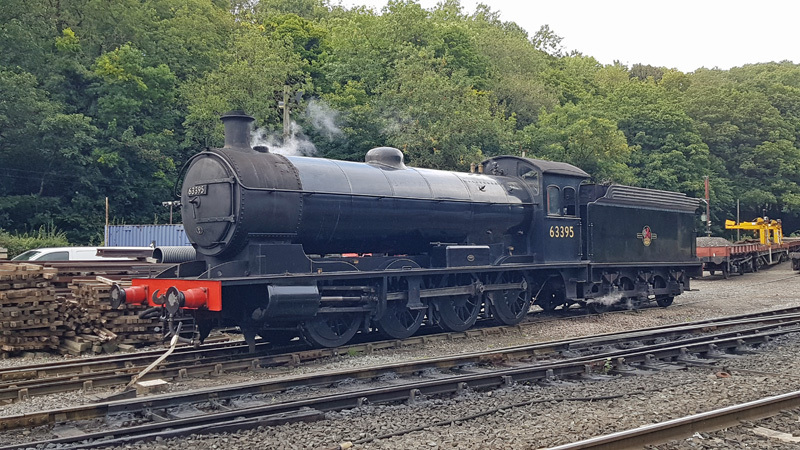 Barney Casey, the senior NYMR fitter will be accompanying the Q6 and will be able to fix any problems should they arise while the Q6 is away. 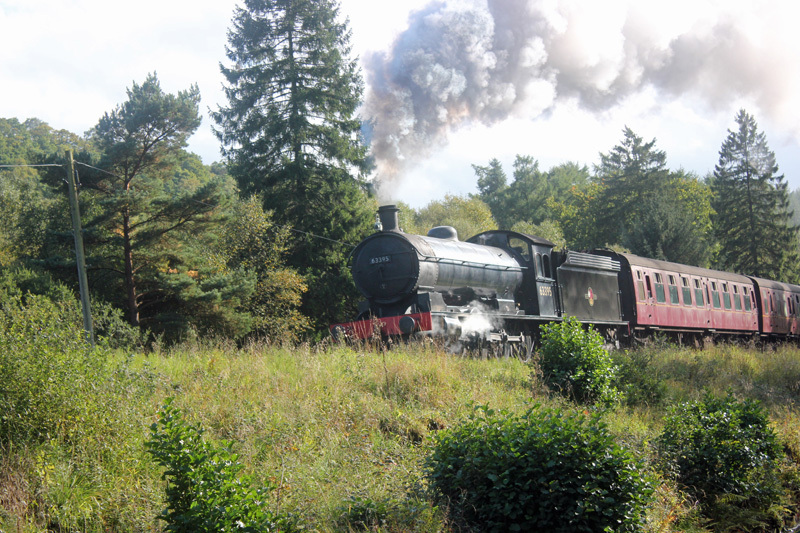 It is then due back in the first couple of days of the week beginning 25 September so it will be available to star in the NYMR Gala on the 28th - 30th September, along with the J27. Although, as a result, there will be no Q6 working party next Wednesday, there is clearing and tidying up to be done in Deviation Shed, and also a J27 to clean if it is not in service. So any volunteers wanting a day out in Grosmont on Wednesday will be very welcome.